Xenarthra is a group of placental mammals, extant today only in the Americas and represented by anteaters, tree sloths, and armadillos. Xenarthrans are a small group of insectivores and herbivores of small to medium body size (up to around 60 kg). Several groups of xenarthrans, mainly the ground sloths and armadillos, successfully crossed the Central American land bridge to North America. ⧪ Though xenarthran populations were absent from Africa, Asia, and Australia, these regions contain unrelated species that evolved to resemble xenarthrans. 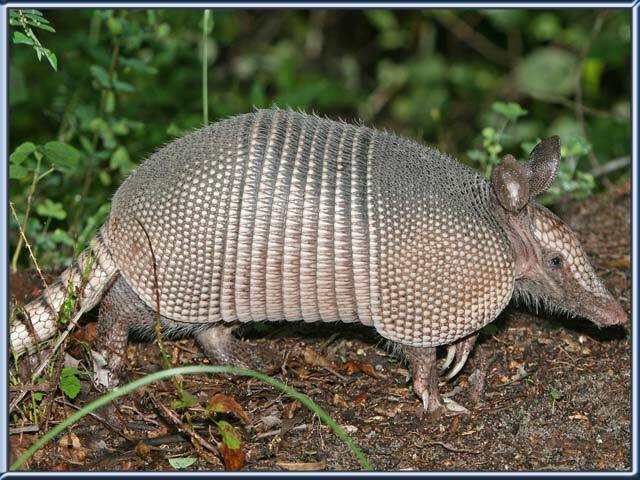 ⧪ Although xenarthrans such as anteaters are indeed toothless, the giant armadillo has as many as 100 teeth, more than almost any other mammal. ⧪ The Xenarthrans were once placed in the order Edentata and are still often referred to as edentates, a word that means "toothless".